Memorial Day is next week and July 4th is coming up. 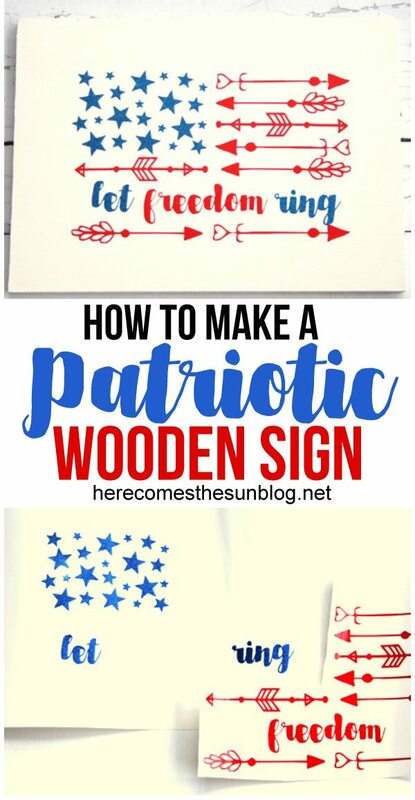 This Patriotic Wooden Sign is the perfect project to make for both holidays. I love projects that do double duty, don’t you? Every year, we host a Memorial Day cookout. All our friends come over for an afternoon of fun, food and of course, a run in the sprinklers! 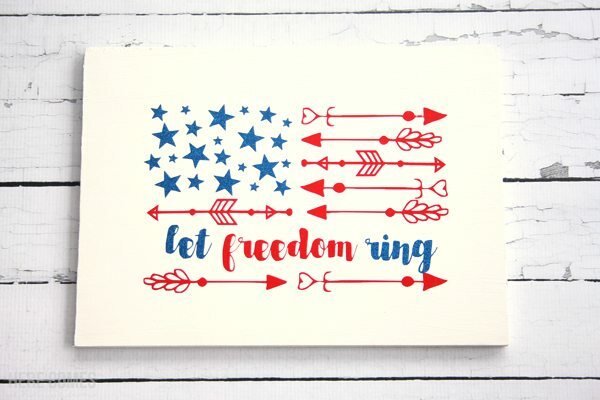 The first year that we had the cookout, everyone loved my land of the free home of the brave sign and I have been itching to make additional patriotic decor ever since. Signs are fun, easy to make and look great in your home because you can customize them for whatever holiday or decor that you have. 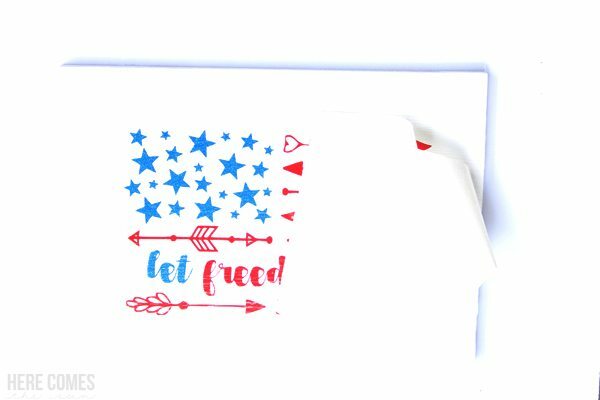 I especially love American flag signs so for my latest patriotic craft I chose to make a wooden sign with a twist on the American flag. 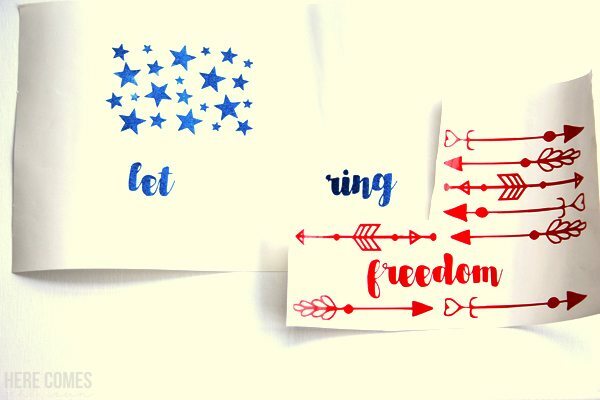 For your patriotic wooden sign project, you will need a cutting machine. I have a Silhouette but a Cricut will work too. The instructions that I’m giving you today are for cutting the file using a Silhouette. First, cut a piece of wood that is a little bigger than 8×10. The cut file is an 8×10 so you’ll want your wood to be larger than those dimensions. You can get someone at your home improvement store to cut it for you if you don’t have the tools at home. Next, paint your wood white. 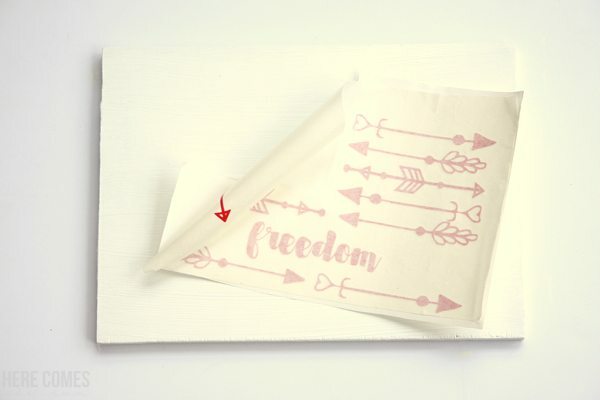 I used acrylic paint because that is what I had on hand but you can also use chalk paint to get a distressed look if that is what you are going for. While your paint is drying, cut out the file with your Silhouette. 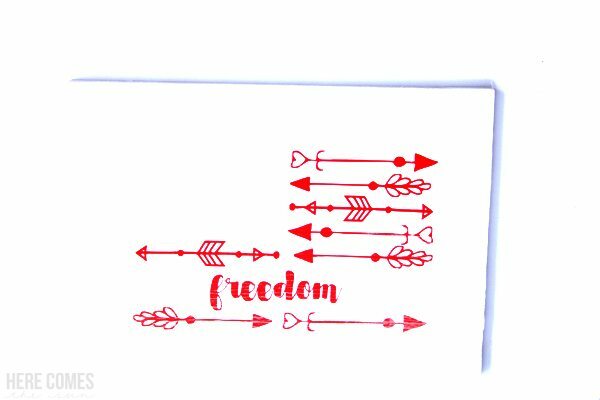 You can download the free Silhouette cut file below. You’ll have to cut two different colors of vinyl if you want your project to look exactly like mine. 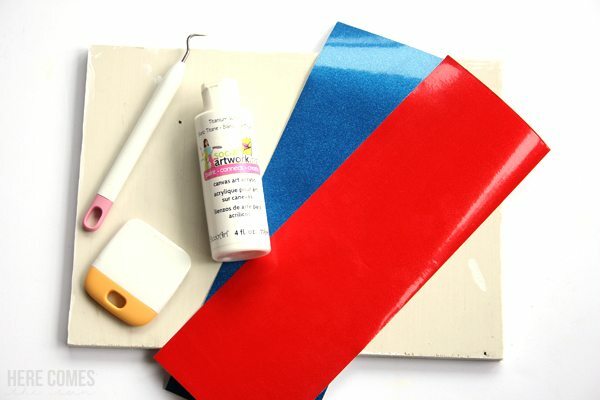 This is a really great tutorial for how to cut different colors of vinyl in one design. I used sparkly vinyl to give my project a bit of pizazz. You can see the sparkles in the blue vinyl, below. After vinyl is cut, weed it using your weeding tools. I use the hook tool (the one that looks like that dentist tool that we all hate) to get all the tiny pieces out. Then, use transfer tape to apply the vinyl to your wood. I placed the red vinyl on my wood sign first and then placed my blue vinyl on. In the photo below, I have placed the transfer tape onto my design and have begun peeling up the design. Peel up the design, then place it onto the wood. Using the flat scraper tool, rub your design so it adheres to the wood. Then, slowly lift the transfer paper off. This is what you will be left with. I placed each color down separately and was able to align the blue vinyl pretty easily with this design. However, you may want to place all the vinyl onto one sheet before applying it to the sign. Here is a great tutorial on how to do that. 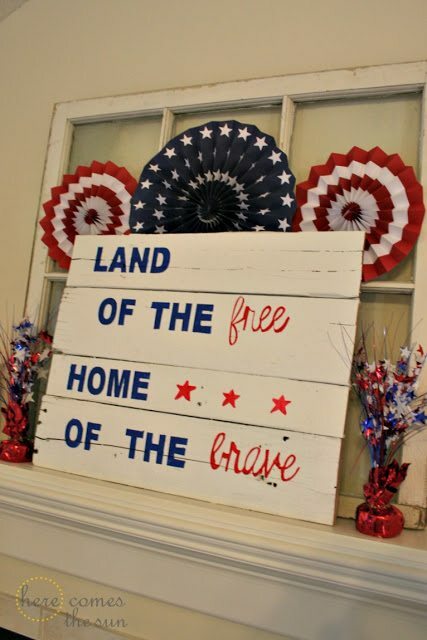 After your vinyl is in place, you have a beautiful patriotic wood sign to display. If you want to make this into an outdoor sign, be sure to use permanent outdoor adhesive vinyl. You may also want to apply a coat of Mod Podge to seal it. 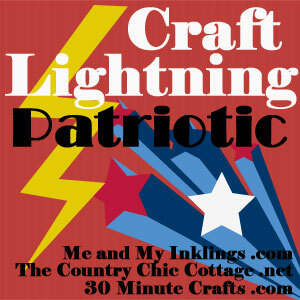 This project is part of Craft Lightning Patriotic edition. You can see all the other projects by clicking the button below. 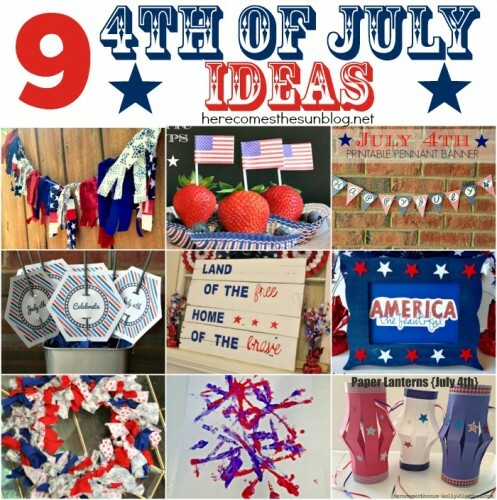 Click here to see all my Memorial Day and July 4th projects and recipes. Such a cute sign! Thanks for joining! This is darling. Thanks for participating in the fun!